The health of your organization depends on the overall well-being and emotional maturity of your leadership. In many cases, managers and supervisors devote up to 90% of their formal training time focused only on the technical or industry-specific aspects of their role. Unfortunately, this means the interpersonal skills required to minimize politics, resolve conflict, increase retention, and improve morale are often missing. Productivity and creativity are compromised in any environment in which the socio-emotional skill sets of your team have not paralleled the evolutionary challenges of your business. Through a series of interactive live seminars, David addresses the fundamental assumptions leaders make about themselves, their roles, and their team members. Small group discussions give participants the opportunity to explore these limiting beliefs while developing their own emotional maturity for the purpose of serving the greater good of your organization. “Purposeful Leadership” focuses not only on the “why” of the organization, but also the purpose of each individual person’s efforts. Leaders learn how to articulate and influence their team through the lens of a value-centered approach surrounded by the organization’s ideology. The effectiveness of this curriculum is found in its unique combination of topics that are directed at Personal Growth and Organization Health. 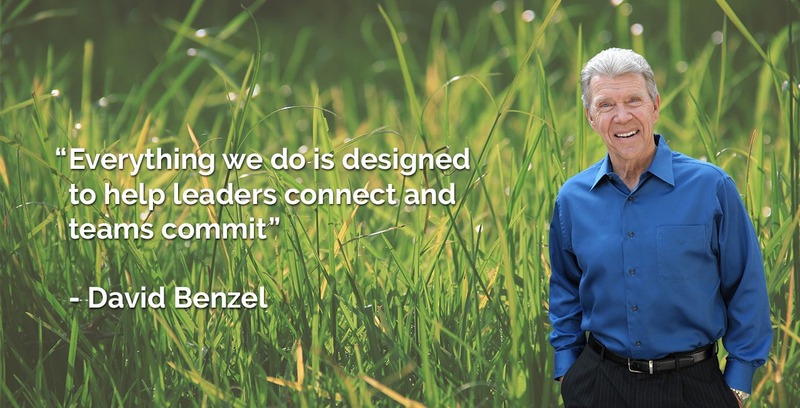 David Benzel is the Founder of Growing Leaders for Life. 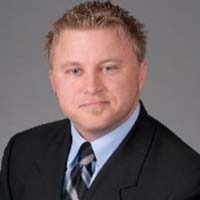 He is an author, corporate coach, trainer, and speaker. David brings a business owner’s experience, an athlete’s discipline, and a coach’s inspiration, to teach relationship skills for succeeding in business and in life. 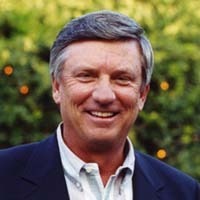 Served as a commentator on ESPN for the X Games and the Professional Water Ski Tour. Growing Leaders for Life provides leaders, managers, and supervisors with practical tools & positive strategies for meeting the highest priority needs of their followers, and creating the healthiest organizational culture possible. Clients include Balfour Beatty Construction, The Villages, Allstate Insurance, Sprint, Nextel Communications, Kaufman Lynn Construction, Simpson Motors, UNNA Luxury Resorts, USA Gymnastics, US Figure Skating, USA Swimming, and the United States Tennis Association. Are you ready to discover how you can transform your team into purposeful, productive, and inspired leaders with David’s Purposeful Leadership Program? Connect with David today. The purpose of the Purposeful Leadership program is to elevate the personal credibility, maturity, and level of positive influence people have with those they serve. By increasing each person’s leadership skills, they will be more effective in serving and developing the people around them. The ultimate goal is organizational health – the kind that attracts and keeps people who share our values and vision. The workshops are completely customizable from the many topics below. Each topic is a 90‐minute to 2‐hour session. There will be a handout for each participant to add to their personal leadership development notebook. Click on each topic below to learn more. Credibility – perhaps the single most important ingredient for a person of influence. hit new and higher goals every year. Why are some people so good at connecting with a wide spectrum of personalities? Create an atmosphere where differences are seen as a blessing. Just how good a communicator are you? Why is there never enough time to do all the things you’d like to do? Why do some people succeed in life no matter what obstacles they encounter? There exists some fundamental differences between organizations which have been designed with the future in mind, and those whose focus is today. The pressures on organizations to change will only increase over the next decade. Developing trust within an organization is a skill that can be learned. There are significant reasons why some teams out-perform other teams. Great managers do things differently. To be remembered as the coach that helped an employee win on his/her professional journey is one of the most fulfilling experiences in the workplace. The overwhelming majority of leaders are dissatisfied with the efficiency and effectiveness of their meetings. Transforming a business from “good to great” is a journey well-documented in the book “Good to Great” by James Collins. Inspired Performers Don’t Have a J.O.B. What is it that really generates high productivity in your team members? The Power of One – What is Your Rally Cry? Within every organization there are people who under-estimate the impact they can have on results. Leaders are learners. It’s an ongoing journey from good to great that every leader, manager,supervisor, or aspiring leader must embrace. There’s so much to learn, so many concepts to grasp and new habits to acquire – yet so little time. How can you create a learning organization in which every leader and team member has easy access to educational resources that have a powerful impact on their personal effectiveness? 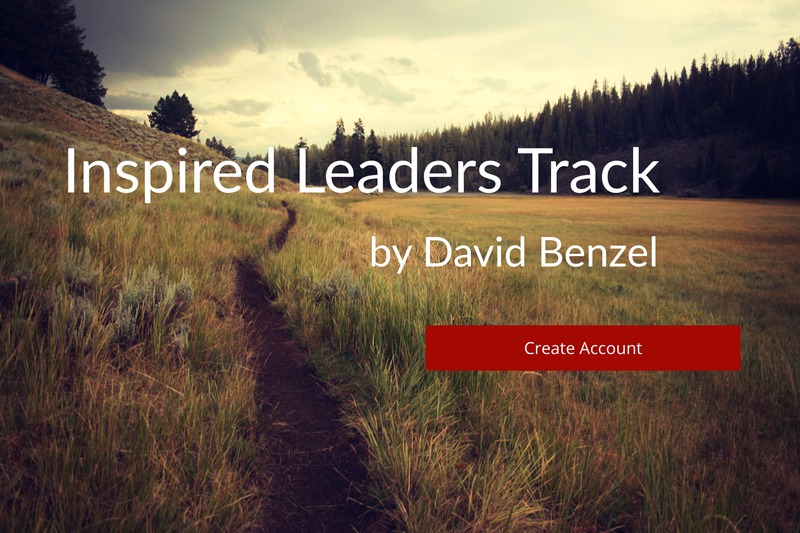 David Benzel’s Inspired Leaders Track is the answer. We’ve created an online resource for your team members that utilize inspiring videos, educational webinars, and informative articles making professional development time-efficient and flexible. Your customized web page (with your logo) will include a new video, webinar, and article each month. These single-point lessons focus on teaching important practical strategies and inspiring positive attitudes for the workplace. Are your team members developing as leaders and growing as people? Would it help if each month they had easy access to information about topics like these? Each month your team members will find fresh new content on your “Inspired Leaders” web page.These resources will provide great discussion topics during meetings and challenge each person to grow. 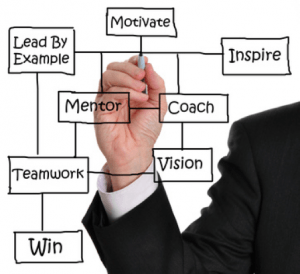 Inspired Leaders Track is like having an internal leadership university at a fraction the cost. 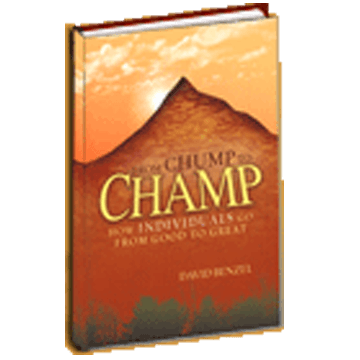 In order for your organization to move from good to great, the people within it must first move from Chump to Champ. 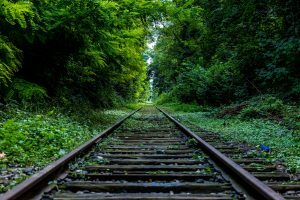 It is a journey that must start on the individual level, and requires persistence and direction every step of the way. Join David Benzel on one of the most significant and meaningful endeavors you or your team will ever take. 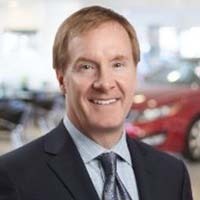 "We recently had David Benzel make a presentation at one of our meetings in Minneapolis for our managers and sales associates. The impact was more than I expected. David’s approach is based on the most fundamental truths that affect our relationships in business and our personal lives. He has a unique ability to stimulate personal reflection and inspire new direction with the questions he asks and the exercises he facilitates. It is obvious to me why he has been sought after by organizations that want more than motivational hype or corporate lingo in their training. 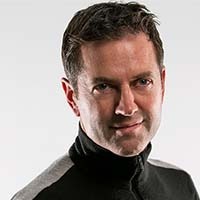 David’s style and message is sincere and aimed at helping each individual grow so they can make a meaningful contribution to the organization’s success – and enjoy the journey." "Dave’s professionalism, easy manner, and direct style allow him to speak to a wide variety of audiences. We have contracted with Dave to work with all of our athletic coaches (grades 7-12) as well as offering a two-part seminar with our parents. The response from our coaches and parents has been overwhelmingly positive. Dave has a wealth of talent along with a pedigree that immediately gains the respect of all audiences. His experience as a world-class athlete, coach, commentator, parent and now consultant immediately gives him credibility. 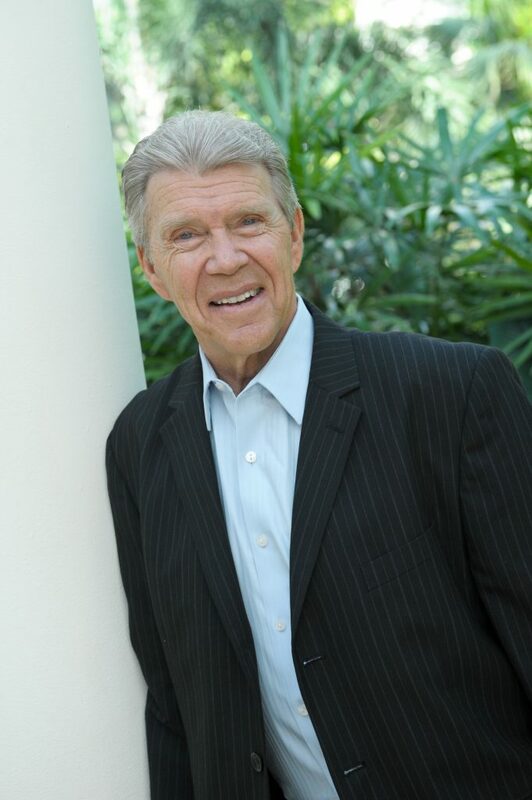 More importantly, he builds upon that credibility with a seminar that is fast-paced and packed with wonderful lessons with which each member of the audience can relate." "Thank you for selecting me to be a part of this training and opportunity for growth. Without reserve, the L.I.F.T. Training Class is the most remarkable class I’ve taken in my 16 years in the business. From keeping my attention, discussions, David being just a phenomenal speaker, the material enclosed and the inspiration brought out from this was my most incredible classroom training to date. This inspires me to not only continue to grow as a leader for both my work family and as THE leader of my own family, it also continues to increase vitality for my commitment to our company and our creed. I can’t wait to continue on with this course. Thank you both for the admirable leadership you display to me and for your commitment to excel and grow us together as a company." "Hi David, Thank you again so much for making time in your schedule to stop in and meet with our team. The feedback was extremely positive and got us all thinking some more on how to conquer those pesky voices that love to turn up at inopportune moments. You have an authentic, personable and genuinely like-able way about you that instantly engages your audience. My team all felt the time was extremely well spent and I hope you hear directly from some of them shortly. " 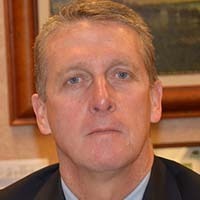 "I have known David Benzel for over 25 years. I have watched him grow from administrator to water ski coach, from ski school owner to top flight customer service trainer and motivational speaker. I have always been impressed with David's level of preparedness and professionalism. David is articulate and energetic. David will always study the arena he has been asked to address. He knows his clients well before he speaks. He brings practical and functional tools to the meetings he produces to solve problems. In short, he is very good at what he does. I asked David to speak on leadership at the second annual Summit in the Snow at Park City Utah this past Feb. Over 70 water sports industry leaders were in attendance. We received rave reviews from many Presidents and CEO's on David's topic on how to become a true leader. I have since refereed David to other organizations and would be pleased to do so for you. You will not be disappointed." "I’ve been fortunate to have been involved in other leadership training opportunities, but none of them hold a candle to what you shared during the past few months! I truly enjoyed, and learned from, each session. So, thank you for all of your effort, and the great reading list you provided. I have already put many of the tools you shared to use and know they will make a huge difference in my personal and professional life!" Do you know the Five Steps to build Credibility? Sign up to receive your FREE copy of David Benzel’s valuable whitepaper Shed the Superman Cape to learn more and receive our monthly newsletter.